2: Measure all the ingredients into a large bowl and mix well until thoroughly blended and smooth. turn into the prepared tin, and level the surface. 3: Bake in the pre-heated oven for about 50 minutes until the cake is well-risen and shrinking away from the sides of the tin. 4: Leave the cake to cool in the tin for a few minutes before turning out and leaving to cool completely on a wire rack. Mix together the cheese, honey and lemon juice. 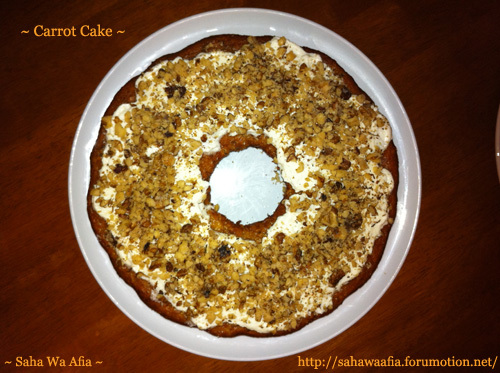 Spread on top of the cake, then decorate with walnuts. Eat immediately if you can't wait or store in the fridge until needed.